This is the final in a four part series of informative articles on regulations and the regulatory process for alternative finance businesses. In the first article, I explored why I believe regulations may have actually contributed to the exponential growth of the alternative finance sector. The second article examined the various alternative finance models emerging in this innovative market and the regulations that apply to them. The penultimate article in this series set out step-by-step instructions to an assured FCA application for authorisation. This article distilled thousands of hours of experience that actual alternative finance businesses gained while preparing for the grueling FCA` process. 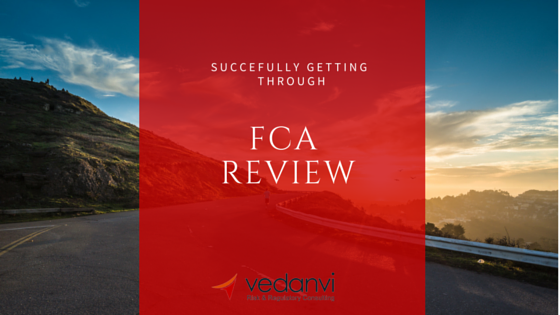 In this final article in this series, we focus on how to successfully engage with and overcome FCA “interrogation”, once you have submitted the application. Once the application is submitted to the FCA and the case officer assigned, expect them to come back with tough questions. “Interrogation”? Surely this is a slight exaggeration and the process can’t be that bad, right? The entire authorisation process is deliberately designed, by the FCA, to be tough (they often refer to it as a “robust” process). This is to ensure that any firm or individual authorised to carry out regulated activities is “fit and proper, and that the firm have a suitable and sustainable business model”. How interrogative the review process will be for your specific firm, will depend largely on the quality of the application you submitted and the strength of your business model and operations. One thing is for sure, however, the FCA will not let you through the authorisation gateway if they are not completely sure about your business and the people running it. The review process is their chance to confirm this. Apart from requiring written responses to questions they pose, the FCA may also call up senior managers for what will sometimes turn out to be a grueling interview. Knowing what to expect and being 150% prepared is the key ingredient to a quick and successful FCA application (remember FCA can take up to 12 months to review an incomplete application). Start building an open and collaborative relationship with the case officer. I suggest an introductory phone call as soon as this person is appointed to review your case. Build a rapport with this important person. Remember the case officer is usually entrusted to carry out the first review and prepare the case for their managers and subsequent governance structures within FCA, who will either approve or reject your application. Help them to build your case. Focus on quickly responding to questions. This will require some internal coordination, discussion and agreement, and possibly some internal re-alignment to processes, organisational structures and financial structures. Remember, FCA will usually require two weeks within which to respond, so the clock will be ticking for you to prepare the responses adequately, but quickly. Start up and established alternative finance businesses will change strategy, operations and personnel during the review process, given the fast moving pace of this industry. Because the review process could take up to six months or longer, be proactive in keeping FCA informed of any changes, even if you believe they are insignificant. This is crucial advice! Prepare senior management for a possible interview. The best way to achieve this is to start training early and put them through an intense mock interview process. External facilitation may help replicate the FCA environment more effectively. Seek advice if you are unsure of how to respond, or if the FCA require in-depth technical responses related to specific rules and guidelines. Many firms have found it useful to get the responses reviewed before submitting them. You may be asked to justify that the regulatory permissions you have applied for are correct. This will require a careful explanation of the firm’s business activities compared against the detailed provisions of the regulatory permission applied for. Where they feel that certain controlled functions lack relevant experience, they will want clear explanations on how this person will get up to speed in order to comply with FCA rules and guidelines. Often some level of continued support, typically by an internal or external professional, would give them reassurance. They will want to go through an end to end customer journey. What you put to them will have to demonstrate, that along the process, you are complying with their rules. For example, how you advertise to customers, how they sign up on the platform, how they invest and withdraw their funds, etc. Providing a login, and letting them experience this journey for themselves as an investor, is often the most effective course of action. What due diligence will you perform on the borrower or equity issuer, so as to ensure that legitimate opportunities are put in front of the investors and that they are given complete and accurate information to make an informed investment decision. For peer to peer platforms, what criteria are used to rank the borrowers into distinct rating bands? The criteria must be objective, consistently repeatable, have proper governance process around them and be reviewed and adjusted based on actual experience. Investors must also be informed of the rating criteria. Where platform technology is purchased and maintained by a white-labelled provider, FCA will want specific details of the outsourced contractual arrangements and how you will govern and control the outsourcer on a day to day basis. We can only cover a handful of typical questions FCA could pose to you in an article of this nature. Email me at jay.tikam@vedanvi.com if you are struggling to answer any questions or just want to bounce them off someone. I trust this series of articles on FCA regulations and the regulatory process has been valuable in helping you get your new alternative finance venture off the ground or get full authorisation if you are currently operating under an interim permission. I wish you luck and success with the application and the launch and growth of your innovative or alternative finance business!! !